In this article I’m going to highlight 3 tips to improve your web user experience with the WOW factor. As a little bit of a teaser it won’t be what you think it is. So let’s get underway. If you read a lot of web design articles or you are wanting to improve your website you’ll probably get some benefits from this article. What you will get is three concepts that you need to check for your web presence to make sure your customers and potential customers are engaged and stick around. Everybody wants the web user experience WOW factor for their website. You want that feeling that makes you go back time and time again. You want your web visitors to have that same feeling. The WOW factor usually equates to the appeal of an object, that distinct impression or appeal that an object, behaviour or person has on others. So here’s a couple of questions when it comes to a website. Is the web user experience WOW Factor related to the look or feel of the website or is it something more? Will a great web design be enough to give the site the WOW factor? Many times when a business has a website designed, they usually pay a lot of money to have a fantastic graphic design done to engage their current and potential customers. So when the site goes live, site owners expect lots of people to come to the site and buy things from the site or engage with the site owner for their services. So here’s what can happen…. You’ve got the great looking site, the visitors get to the site, they get the initial WOW with the look and feel, and then they don’t find anything meaningful that they really want, and then the site visitors are gone elsewhere. Then you check your stats and end up finding that you’re getting plenty of visitors to the site but not converting people to make the next steps you want, like buying a product or calling for an appointment. So a great graphic design might give you a “visual” WOW but it won’t give you that “enduring” WOW. So, there has to be more! 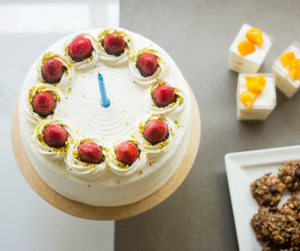 A web presence and a website are very much like baking a cake. You need lots of ingredients which need to be added and prepared correctly, and baked at the correct temperature for the right amount of time. So when someone says you just need a website, that is only one of the ingredients in the whole of a web presence. engagement of my audience over time. or something with some other “secret web sauce”, then think again. Remember your web presence is like a cake, it needs the right ingredients, to be prepared correctly, baked at the right temperature and for the correct amount of time. 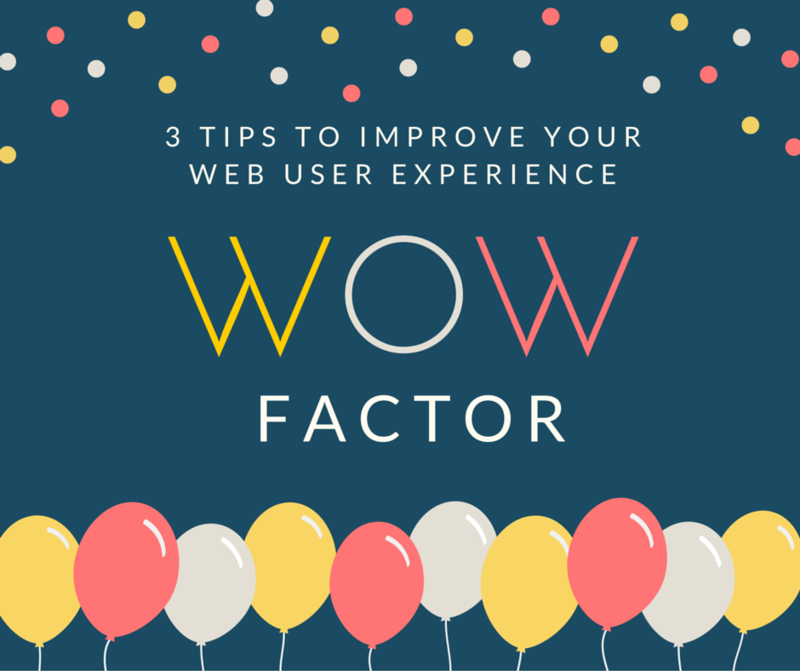 What are the 3 tips to improve your web user experience with the WOW Factor? So what about the web user experience WOW Factor? Is it naturally occurring at the hands of the graphic designer, or is there some planning to help you get there? The visual element is strong for the WOW Factor, I’m not denying that, but what we need for our sites is the enduring WOW Factor. 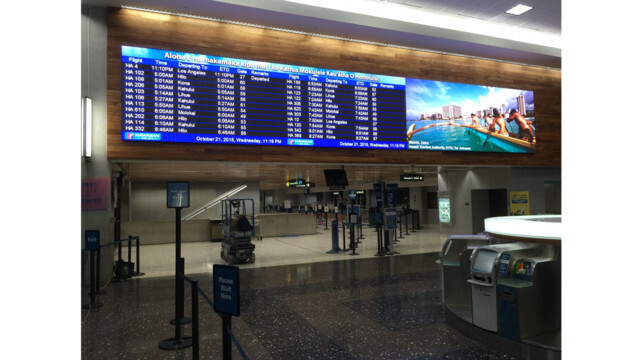 I came across this great article of how Honolulu International Airport brought the “WOW” Factor back to travel with state-of-the-art LED displays. According to Airport World, environmental graphic design within airports is often not the first thought when looking to boost revenue, but it has a tremendous potential to influence a traveler’s experience. In fact, J.D. Power and Associates, report that happy passengers spend an average 45 percent more than grumpy ones, or $20.55 versus $14.12, on airport retail purchases in shops and eateries. After travelling around 531,057kms around this globe according to TripAdvisor, I have seen my fair share of airports and their information boards, but when I see something like the second picture, the new board at Honolulu, it grabbed my attention. So here’s what I gleaned as to why it was more than the “technology” that gave it the WOW Factor…. Now put that into the context of your web presence, your website and your social networks. Is your purpose to sell things or provide information? Or is your purpose to enrich your site visitor’s life and experience? Products, services and information should enrich the lives of users. When that happens, they will begin seeing you as the ‘go-to’ site or person. To be seen as the ‘go-to’ person, make sure you support it by offering quality, free and relevant information for people to get hold of that will assist them in their daily needs. As an example, you could offer a free download that is highly relevant and helps users with things like guides, tools, or online calculators. Whatever it takes to benefits the users. So, it seems to me that the higher purpose is to influence a visitor’s experience. So what are the clear goals of your web presence and more so your web user experience? What can you do to improve things? Do your goals for your web presence align with your business goals? Add 300 new subscribers to the newsletter over the next 12 months. Increase brand loyalty on Facebook by encouraging fans to write a message of positive feedback per day. So, how do you make it easy for your site visitors to achieve their goals for coming to the site and your goals? Can quickly and easily manage their personal information. These are typical of some activities to help your customers when they visit your site which will help you achieve your goals! What you state online as benefits must be reflected in the way you do business. If not people may see you as untrustworthy. List the benefits that you provide to your customers and live up to those benefits. Have you considered using allies on your site? Try using the testimonies of your users and having a link to their services. When people come to your site they will have several things going on in their mind at the same time. You may well hold the key to helping them in some other way when they see a referral from one of your customers who may actually have the answer for them. The graphical element that gives the web user experience WOW factor can be a quick boost, but what you really want is an enduring WOW factor, and the 3 points mentioned will go a long way to helping you get there. Do you understand the purpose of our business? Do you think our business website reflects accurately what we say and do with our business? For either a Yes or No, can you please give me some feedback as to why you answered that way? What benefits do you personally gain from visiting our website? Based on our website, would you do business with us? For either a Yes or No, can you please give me some feedback as to why you answered that way? This will give you a ‘heads up’ on whether what you are saying and what you are really doing is fully aligned. And also whether your website and web presence reflect that alignment. 2. When you receive this information, take the time to read what people have said and respond to them with a genuine ‘thank-you’ in some way. 3. Have you specifically ‘written down’ any goals for your web presence? Be specific on the expectations of your web presence. How many people do you want to visit, how many people do you want to sign up to your email program over the next 12 months, and so on. If you put this information together, analyse it. It will give you some great insights to your current web presence that will help you improve it and help give it that enduring WOW factor. It will also provide you with valuable information in setting your future online strategy.